Creative Trainers and Consultants consists of experienced early childhood development experts that are all ranked as Master Level Trainers with the Texas Early Childhood Professional Development System. Judy Carnahan-Webb is a member of the Advisory Council for the Texas Early Childhood Professional Development System, and conducts Orentations on behalf of the State Trainer Registry. 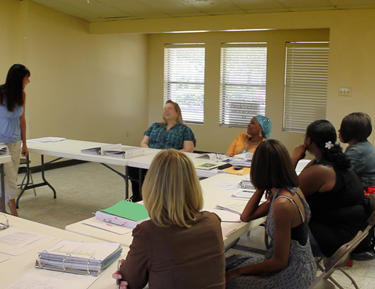 Remember, if you want to become a registered trainer, it is mandatory that you attend an Orientation! Visit the Council's website at www.earlylearningcouncil/TECPDS.org for more information and online orientation. We can perform T.O.T. sessions for interested parties! Remember, 15 hours are required as part of trainer registration requirements. (c) 2017 Creative Trainers and Consultants. All rights reserved.